Fishing midge hatches can be difficult. 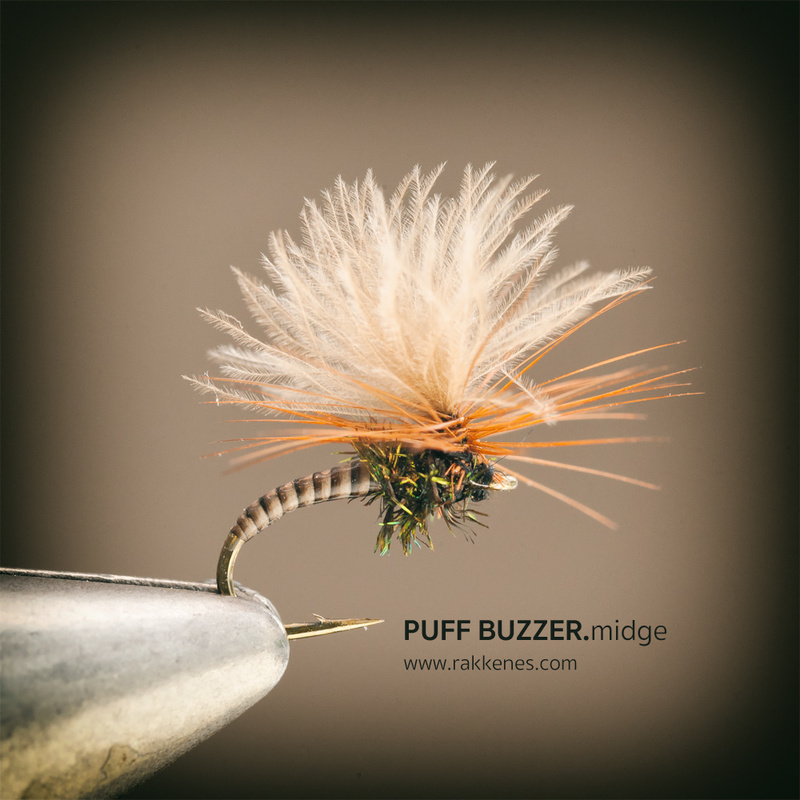 The Puff Wing Midge Buzzer makes it easier. Very often it’s a waiting game with careful twisting of a wet dropper hanging behind a strike indicator or a dry fly. 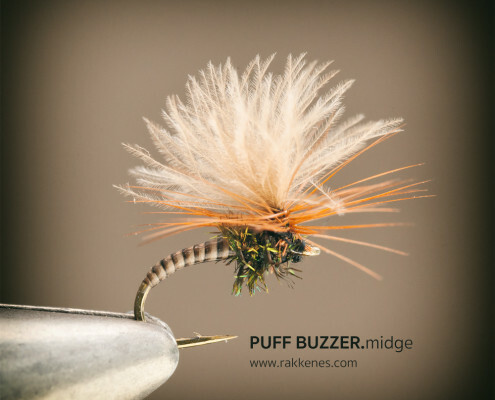 This is a great pattern and imitation of a hatching midge. Although it looks like any other emerger, it produces fairly good results during the midge hatch. It might be fished all year round. The pattern has three main triggers. A low floating profile, the red hackle and the classic peacock herl in the thorax. The crazy wing, a CdC puff feather, is there for all of us without 20/20 vision or for those low light situations. No problem to tie with a sparser wing, but I have not found any difference in efficiency between the puff wing. 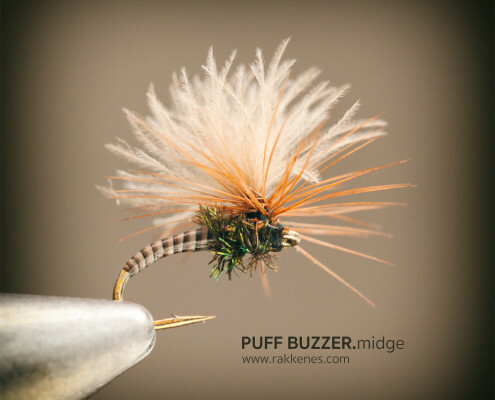 The Puff Wing Buzzer is an easy and fast tie. 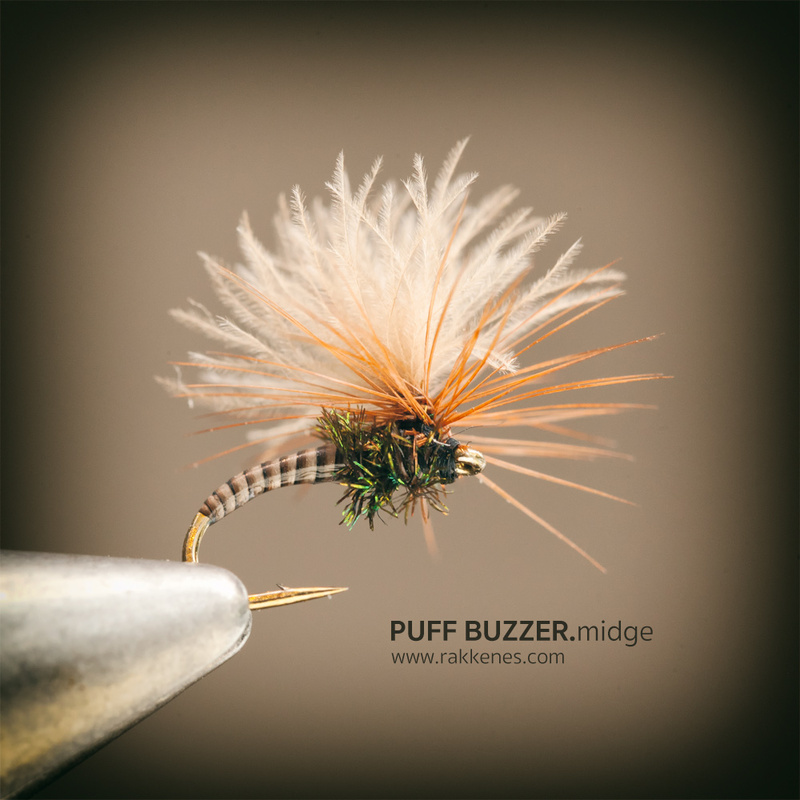 Simply start with the wing and hackle, then the stripped quill, the thorax and finally hackling and finish. Remember to tie of on the wing, not at the hook eye. Materials are listed in order of tying. Pick out fibers from thorax to suggest legs. Apply floatant to wing and hackle. Fish dead drift, or without any movement in still water. A few hand twists is ok.